Fresh Path Health | "A New Day - A New Way" - "A New Day - A New Way", Bringing whole-food concentrates to the frontline in the battle for health in todays world of nutrient deficient, genetically modified, over processed, and toxin laden foods. Fresh Path Health | "A New Day – A New Way"
Whole body health is achieved when all body systems are in balance. 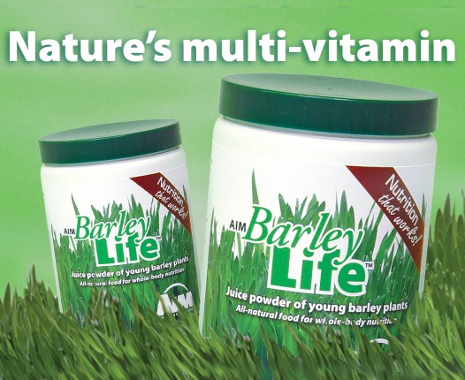 With a wide spectrum of potent nutrients, AIM BarleyLife is foremost in helping you achieve more vibrant, lasting health! Try it TODAY! The AIM Companies - who are they? For 29 years AIM has been improving the quality of lives inside and out through SUPERIOR whole-food concentrates and nutritional supplements to support a healthy lifestyle. At AIM, the quest has always been to offer you the BEST quality products available in today's marketplace, for a price you can afford. AIM also offers you the opportunity to earn extra income with our AIM membership program where you can earn a commission from the products you share with others. Whether you are simply interested in purchasing AIM products at wholesale prices or dream of living a legacy - it can all begin with one step - become an AIM Member today!